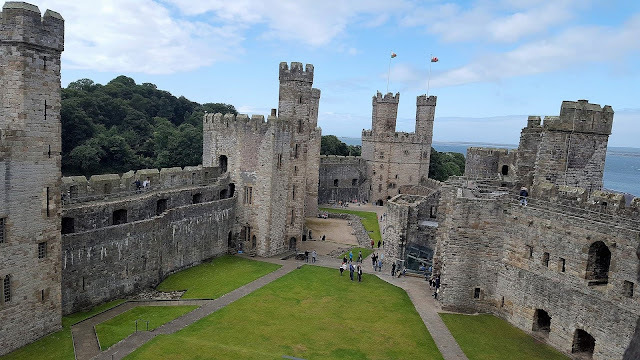 Making the most of our newly acquired Cadw membership we decided to visit Caernarfon Castle, we have skirted around it before but never actually been inside. The building is very impressive on such a big scale and it would also appear full of mythological meaning. I am glad we arrived relatively early as when we were leaving the castle around 1:30pm there was a big queue to get inside. Entrance would have been around £26 for our family of four so I am making a good dent into the cost of our annual membership already. A couple more castles and I should break-even. 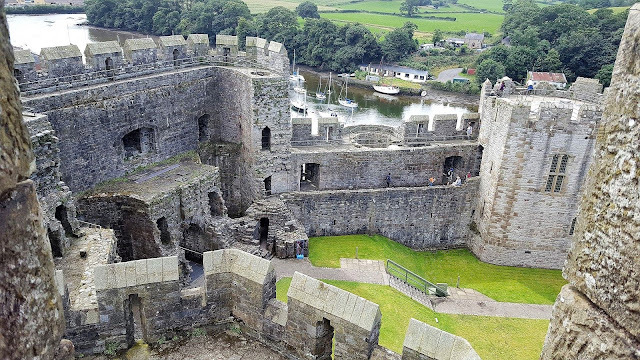 It was a big castle to explore, lots of stairs to climb to get to towers with lovely views for miles. The boys were given a quiz sheet each to try and find certain beasts and then use the letters to finish a dot to dot puzzle. 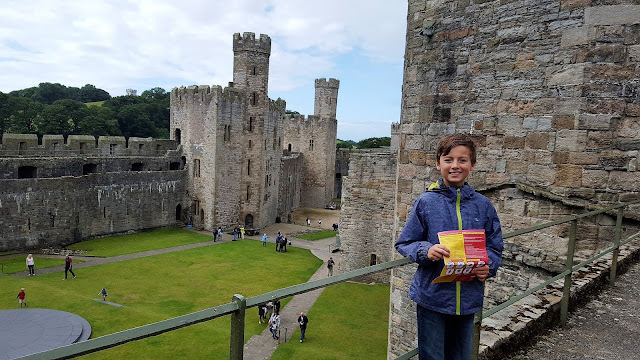 On completion, they were given a congratulatory piece of paper from had peel able stickers on from the gift shop! It certainly gave them something to focus on whilst we set about investigating all the corridors. 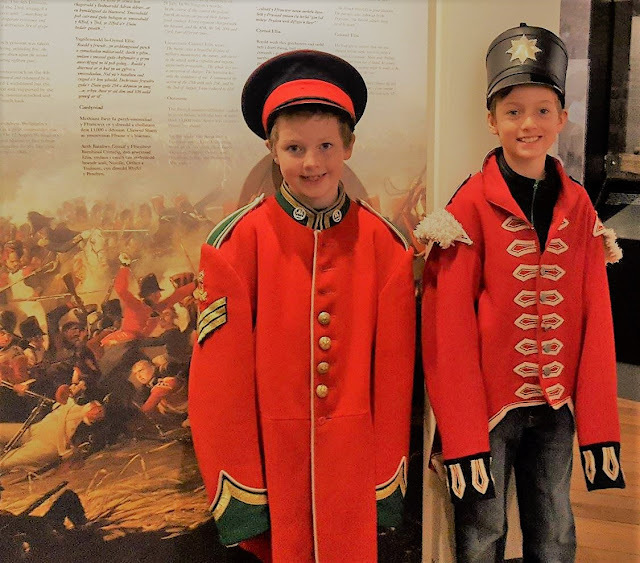 The boys liked dressing up in the Royal Welch Fusiliers Museum they had a few different outfits and helmets which made our visit more interesting for them. They enjoyed learning more about regimental goats and watching a short film about the Royal Welch Fusiliers. I think in total we stayed three hours, we couldn’t really squeeze much more entertainment out of the castle although if they put on a special event we would probably be back again soon. I like it when Cadw have some additional activities for the children like archery so they really feel like they are going back in time!